Front Door: Two options from builder's range: Entry Door (Paint grade).Size as nominated on plan. Side- lite is 6mm thick obscure (if applicable) in a paint grade timber frame. External Doors: Hinged Non solid, paint grade. Internal Doors: 3 options from builder’s range. 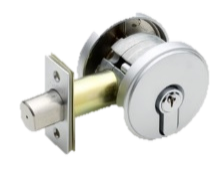 External Door Furniture: All External Doors to have an Entrance Lock and a Dead Lock. Keyed Alike. Door from Garage into house to have only a passage set. 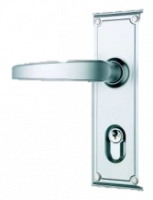 Internal Door Furniture: 5 options from builder’s range. Passage sets to all rooms and privacy latches to Bathrooms, Ensuite and W.C. Sliding Doors: Generally aluminium framed vinyl sliding doors (from builder’s range). 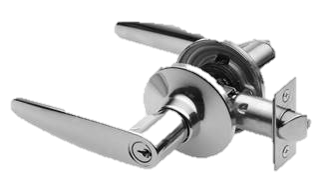 Door Stops: Plastic Long catch to all doors excluding wet area doors which are to have cushion stops. Colour: White cushion.